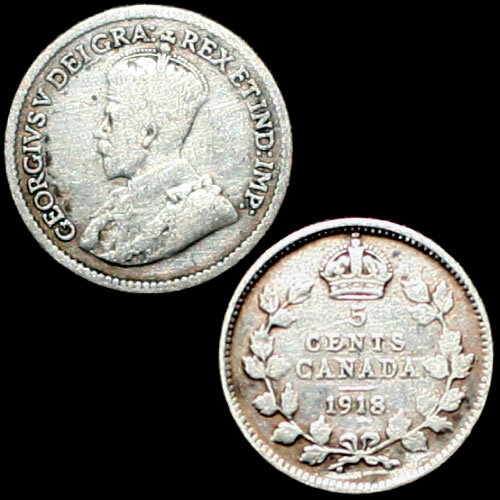 Canadian 5 cent silver coin, minted between 1911 and 1921. This was the last series of Canadian 5 cent coins to be produced of silver before changing to nickel in 1922. Limit 1 per customer. Date our choice.